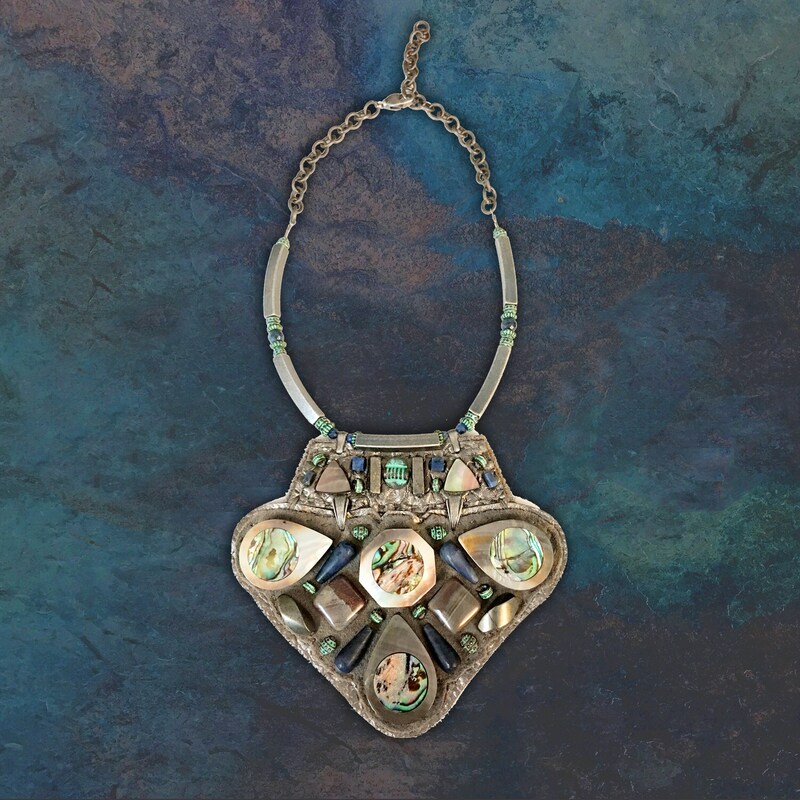 This wearable art piece was handmade in the Hudson Valley and is part of a limited edition series. 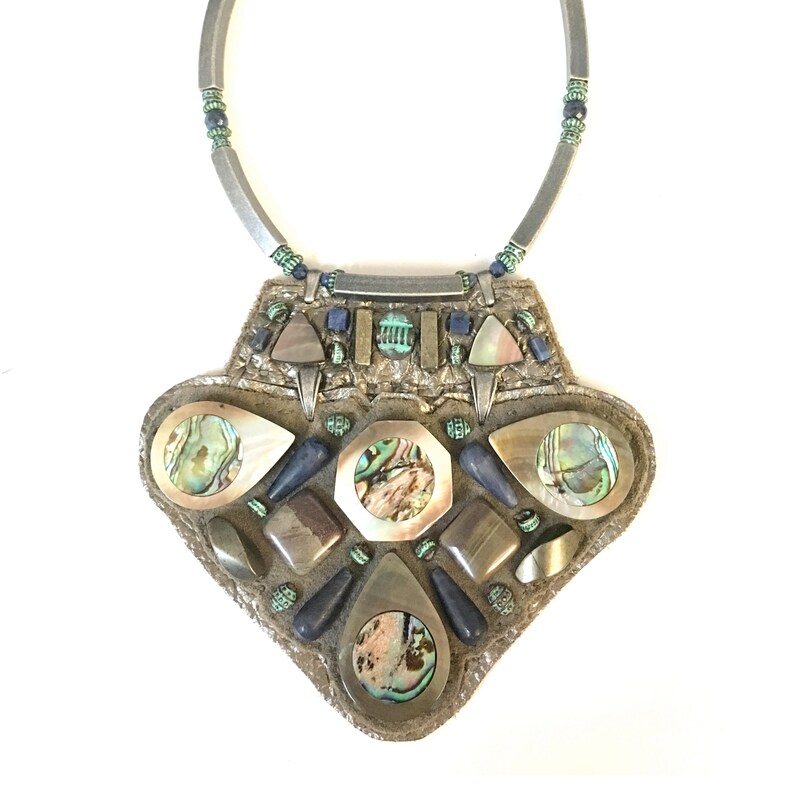 While this particular design is not one-of-a-kind, the natural color variations of the Abalone Shell means that no two Shield Necklaces are exactly the same. 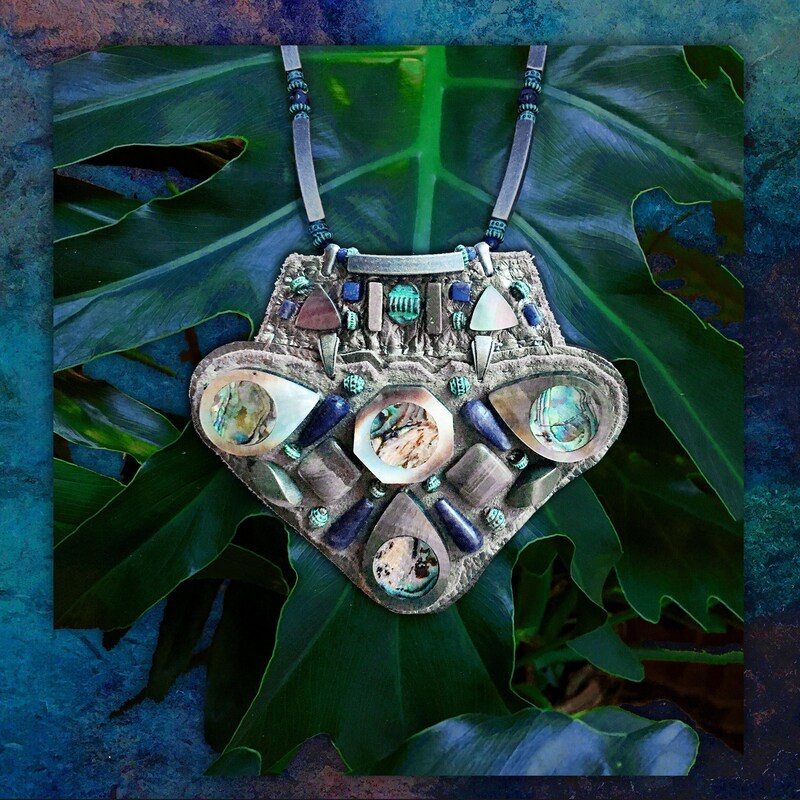 This piece was inspired by nature, was made with natural materials, and was designed with sustainability in mind. The deerskin leather is soft, durable and is a by-product of the handmade moccasin production over at LL Designs : http://www.lldesignsstore.com/. Shield Height - 3 3/4"
Shield Width - 4 1/2"
The necklace is adjustable and can also be made longer upon request.